Wood Symposium 2017 - Holz100 Canada Inc.
​It was an honour to be invited by Mike Yorke to the Wood Symposium 2017 hosted by Wood WORKS Ontario! ​the healthiest, greenest, safest building system in the world. 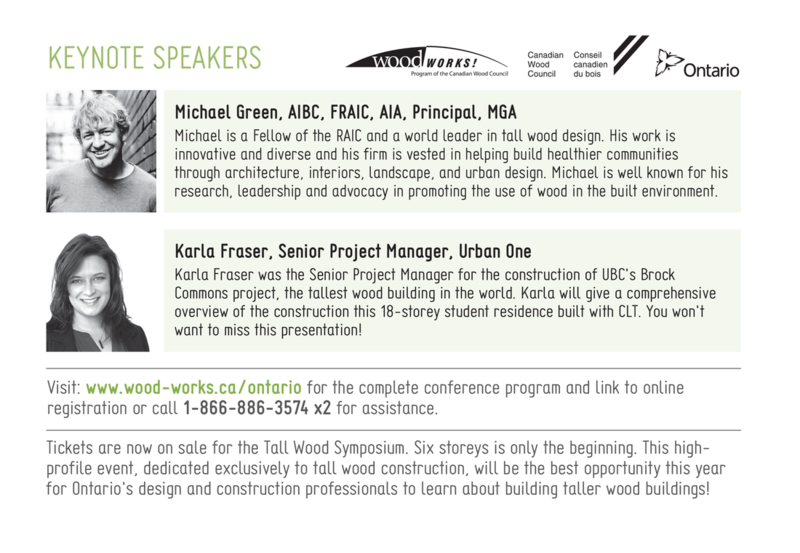 The Wood Works Ontario educational session took place on March 28th at the Paramount Banquet Centre in Vaughan, which was an informative and valuable day learning about potention of Tall Wood, and networking with other construction industry leaders.